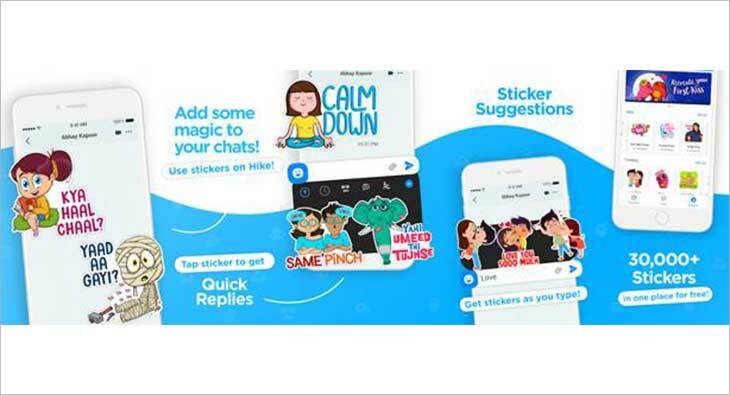 Hike, India’s home-grown tech & internet start-up, announced the launch of Hike Sticker Chat, a new & personalised way for young Indians to express themselves with their close friends. Targeted towards the new age Indian internet user, Hike Sticker Chat uses Machine Learning to bring Stickers front and center with powerful sticker suggestions. “We're really excited to launch Hike Sticker Chat, a new and an incredibly personalized way for young Indians to express themselves with their close friends. Stickers are at the center of Hike Sticker Chat and are built with Machine Learning at its core. The app seamlessly tailors itself around each user’s tastes to make communication really simple and expressive by bringing you the right sticker at the right time” said, Kavin Bharti Mittal, Founder & CEO, Hike. “In a diverse landscape like India where dialects change every few kilometers, keyboards aren’t well equipped hence the new-age Indian internet users are looking for a seamless way to communicate. With this launch, we're taking a big step to solve for that gap by reducing people's dependency on the keyboard,” added Mittal. With the rapid rise of 4G and advanced smartphones, Hike believes that users want simpler apps that do one or two things really well. Hike Sticker Chat is the first step towards that, as it transitions from one Super App to Multi-apps. Hike has always kept the Indian internet user at the core of its innovation. Using stickers as a foundation to create customized localized communication, Hike Sticker Chat has over 30,000 stickers available in 40+ Indian languages and dialects. It expects to have over 100,000 stickers across languages by the end of the year, with an aim to cover a larger percentage of every major Indian language’s vocabulary.